Today, our screens are flooded with images from around the world. 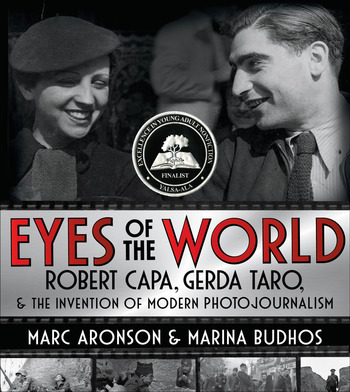 But Capa and Taro were pioneers, bringing home the crises and dramas of their time—and helping give birth to the idea of bearing witness through technology. 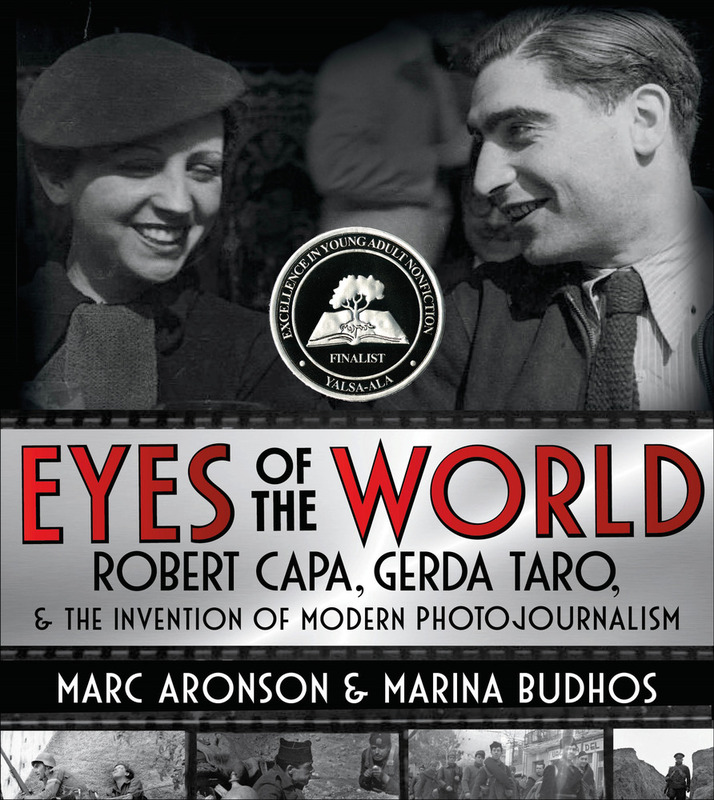 With a cast of characters ranging from Langston Hughes and George Orwell to Pablo Picasso and Ernest Hemingway, and packed with dramatic photos, posters, and cinematic magazine layouts, here is Capa and Taro’s riveting, tragic, and ultimately inspiring story. Marc Aronson and Marina Budhos are writers whose first joint book was the acclaimed Sugar Changed the World. Aronson is a passionate advocate of nonfiction and the first winner of the Robert F. Sibert Medal for Excellence in Nonfiction. Budhos writes fiction and nonfiction for adults and teenagers, including the recently published Watched. Aronson is a member of the faculty in the Master of Information program at Rutgers and Budhos is a professor of English at William Paterson University. They live with their two sons in Maplewood, NJ.